In No Visible Bruises, journalist Rachel Louise Snyder gives context for what we don't know we're seeing. 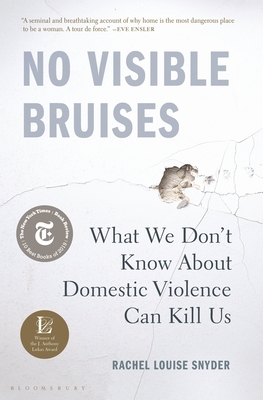 She frames this urgent and immersive account of the scale of domestic violence in our country around key stories that explode the common myths-that if things were bad enough, victims would just leave; that a violent person cannot become nonviolent; that shelter is an adequate response; and most insidiously that violence inside the home is a private matter, sealed from the public sphere and disconnected from other forms of violence. Through the stories of victims, perpetrators, law enforcement, and reform movements from across the country, Snyder explores the real roots of private violence, its far-reaching consequences for society, and what it will take to truly address it.